This unique course is designed as an intercalated year for second or third year medical students. It will equip you with the practical and intellectual skills you need to take up a part-time career, or even a full-time commitment as a specialist medical and health journalist. It will also help you to improve your communication skills as a doctor. You will work alongside students from our Multimedia Journalism MA, who are specialising in print and online journalism. You will also have the chance to develop broadcasting skills in both radio and television, while working with the Broadcast MA students, both as a special correspondent and as an expert contributor. Our teaching staff are highly experienced journalism professionals, and many of our graduates have successfully combined their medical careers with journalism work over the years. As well as a career in medical journalism, this course could lead to roles in public relations, charity sector communications, or any other professional pathway which combined communication skills with a specialist knowledge of health and medicine. It’s an intensive two semesters of study, with a strong practical focus and an emphasis on learning through hands-on practice. You will develop your own story ideas and contacts, and gather your own material for ‘real’ journalism assignments, focusing on medical and health-related stories. There will be full technical training, using our up-to-date media resources, newsrooms and studios, ensuring that you graduate from the course as a multi-skilled, multimedia specialist journalist, able to work across different media platforms. You will also be encouraged to reﬂect on the role of the medical journalist in today’s media. Multimedia Journalism Skills (Medical) gives you a critical understanding of the intellectual and practical skills and techniques of today’s convergent journalism. Media Law and Current Affairs (Medical) provides an in-depth working knowledge of media law, and the ethical considerations which are of key concern to medical journalists. Medical News and Feature Writing develops your skills in writing medical and health-related news stories and features for both print and online media; you will also be able to add some broadcast experience. 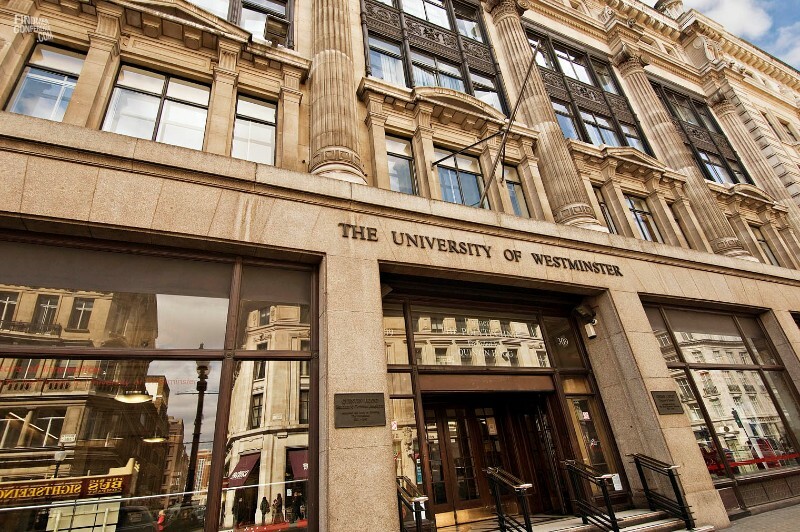 Westminster News Online enables you to study alongside students from our Journalism MA courses to develop the best online techniques, run our live, multimedia news website, and gain experience of using audio, video and pictures. Magazine Project will help you to develop the advanced skills in the content and design/layout of either a team-produced glossy mag, or an online ‘webzine’. Medical and Health Specialist Journalism examines the role of the specialist medical and health correspondent, and provides a critical understanding of the importance of sources, contacts and consideration of ethical issues. You must have successfully completed a minimum of two pre-clinical years of your medical or dentistry degree and ideally have passed both years at the first attempt. Alternatively, you must have successfully completed two years of a first degree which qualifies you for work in the health professions, such as nursing, psychology, physiotherapy, speech therapy or pharmacy. You should demonstrate a strong motivation towards journalism as a career, or as part of a portfolio career, or to enrich your medical knowledge base. Such motivation may be shown through freelance work, work experience at medical or healthcare publications and/or relevant involvement with your university’s student publication. You must possess above average standards of written and spoken English and have a minimum of Grade B at GCSE English. You should submit two assignments with your application: one analysing media coverage of a recent health or medical story, the other describing your motivation to work in journalism. Shortlisted applicants will be interviewed. During the interview, you will be asked to complete a short current affairs test, and demonstrate your understanding of the media. The interview panel may also consider samples of work.